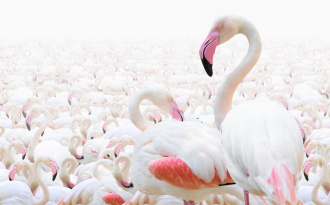 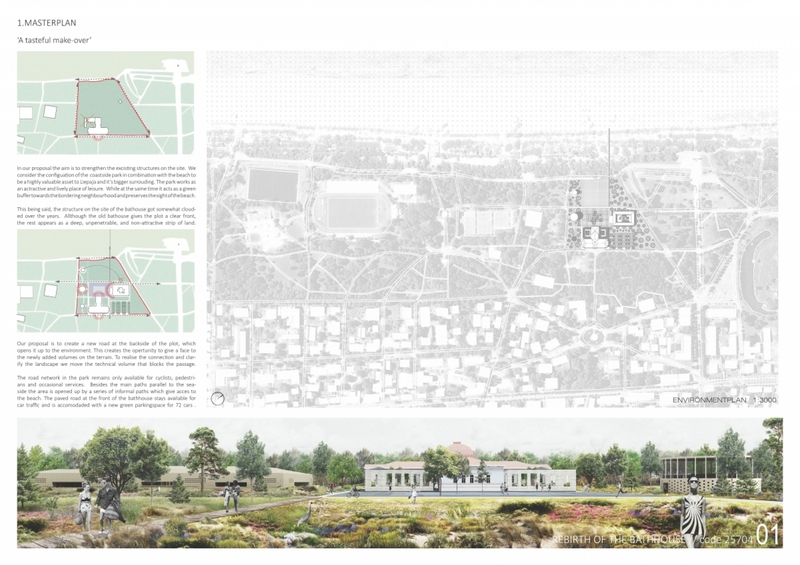 This is the first in a series of ideas competitions to be focused on the revitalization of the 70-ha Liepaja Seaside Park in Liepaja, Latvia. 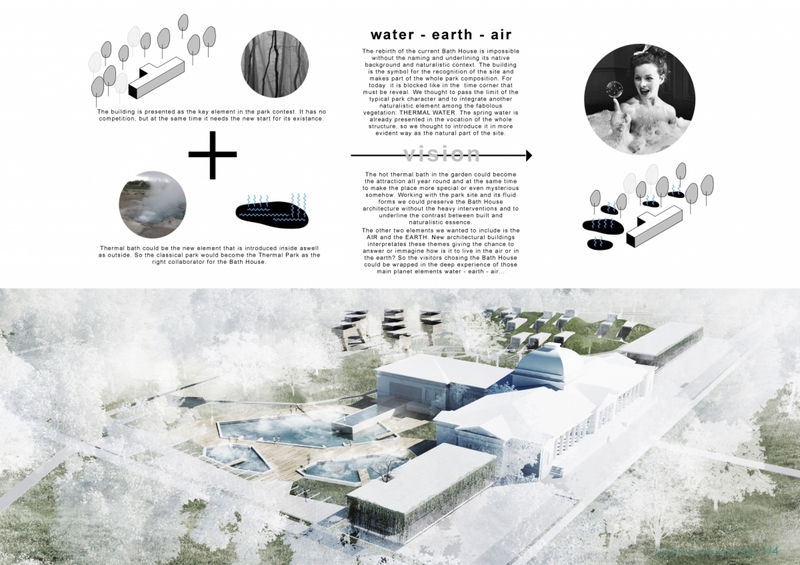 The organisers, Bee Breeders architecture competition organisers in collaboration with Liepaja City government, would like to thank each of the competition participants: over 70 submissions were received from around the world, proposing a number of innovative ideas for the renewal and redevelopment of a turn-of-the-century Bath House complex. 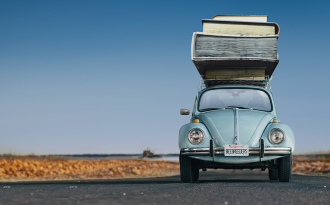 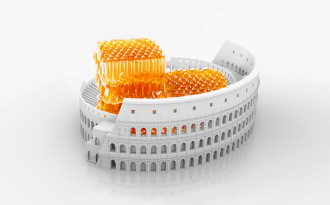 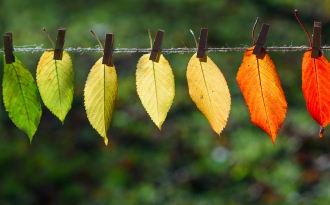 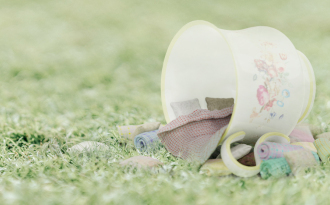 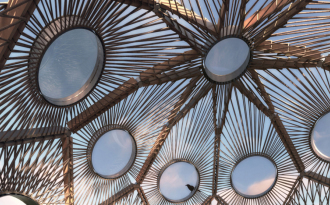 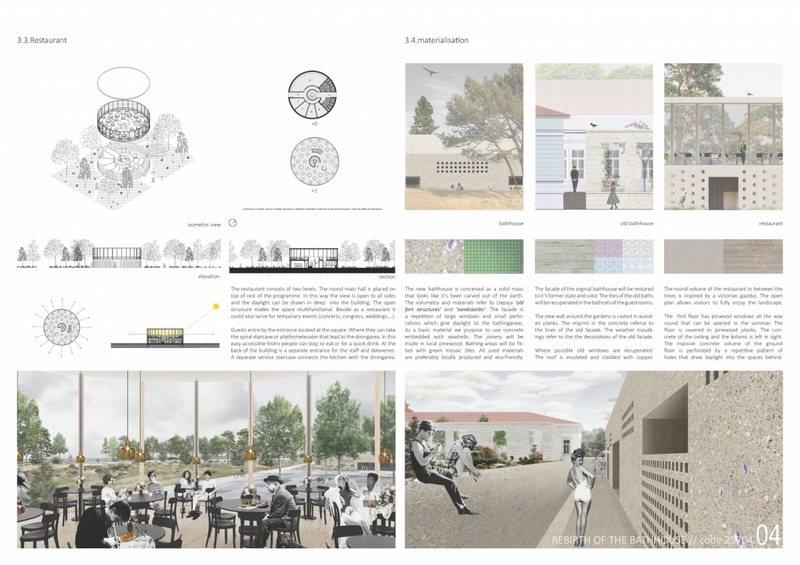 As always, the design brief by Bee Breeders architecture competition organisers suggests a framework for design, but one which is flexible and open to interpretation. 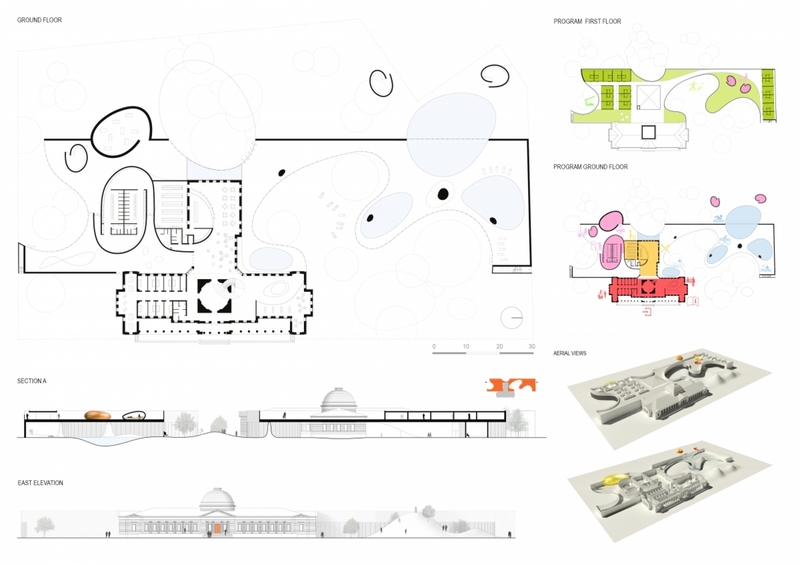 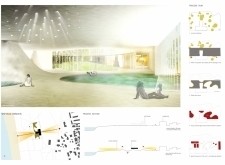 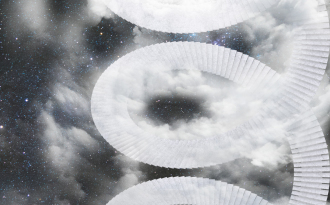 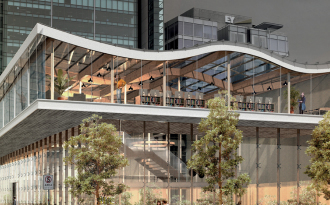 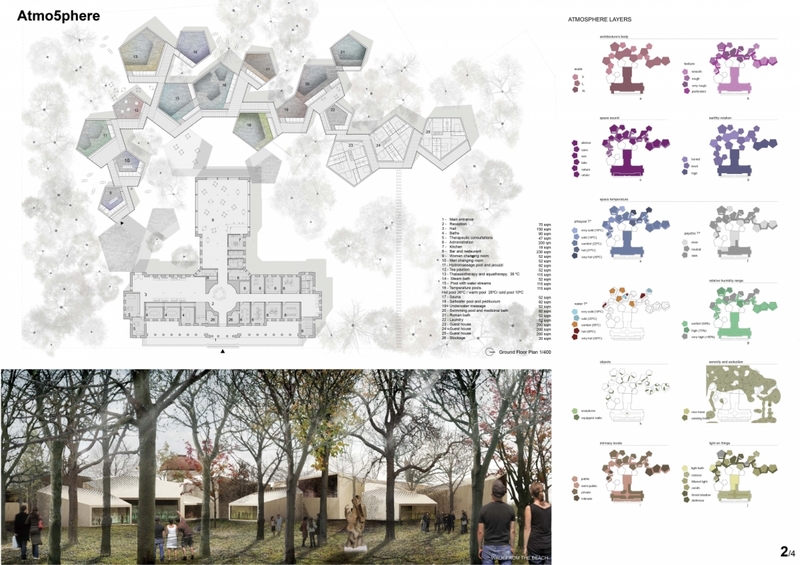 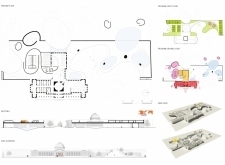 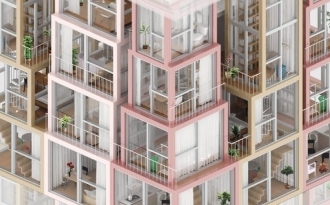 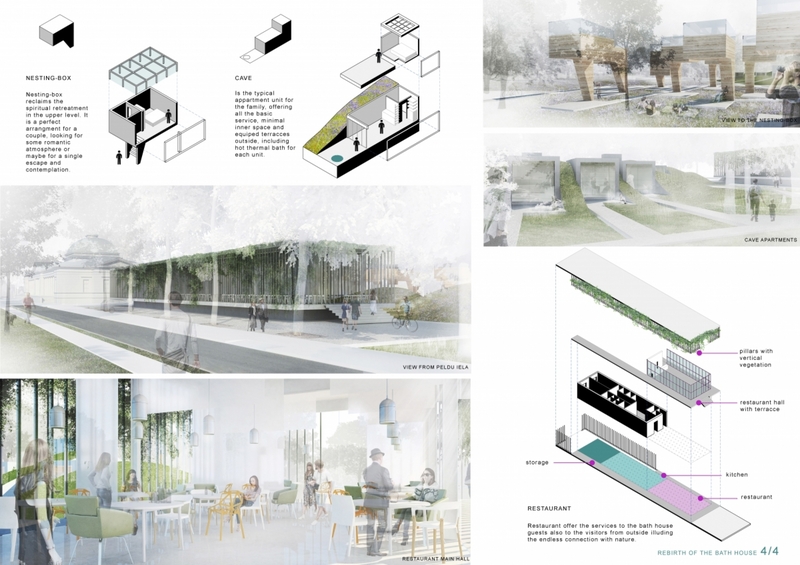 A total of $7000 USD has been awarded to three winning proposals, chosen for their ability to make use of the existing building while also considering the relationship between the building and its site. 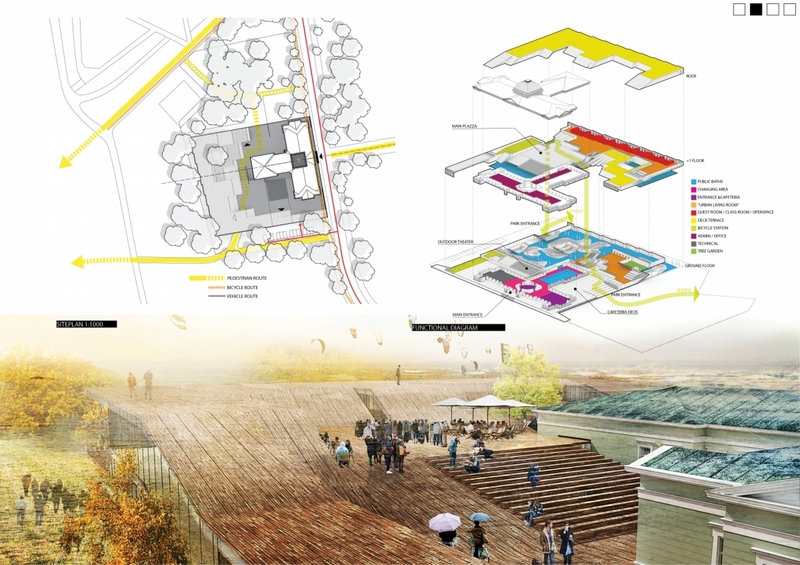 Participants were encouraged to add new structures and functions to the complex. 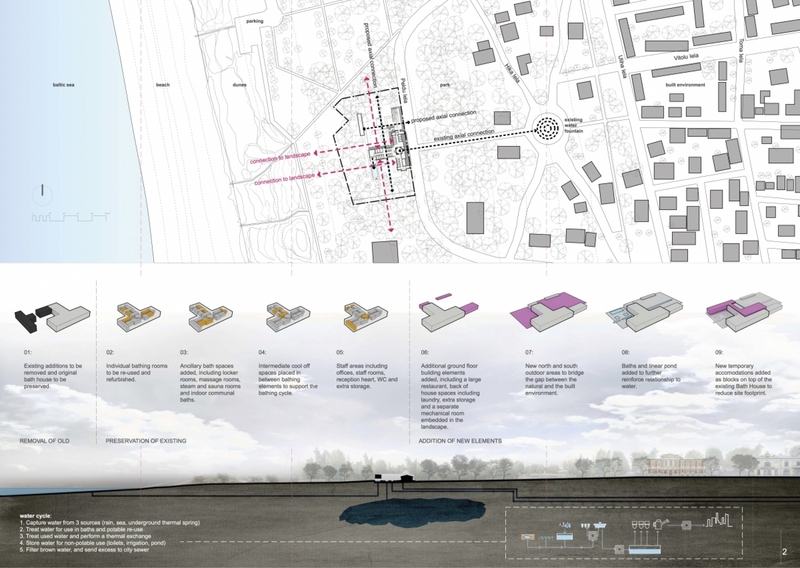 Below, the judges describe the three winning projects. 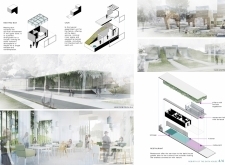 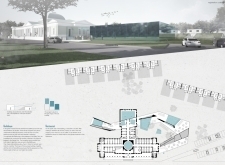 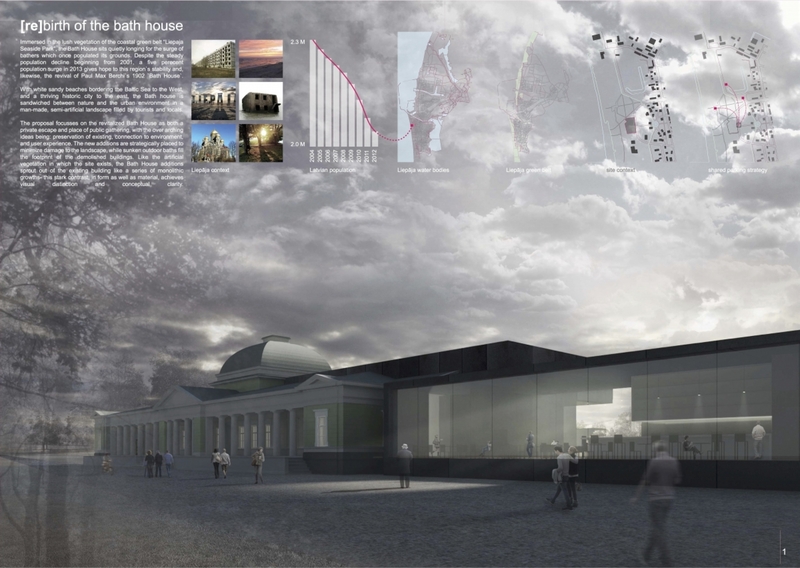 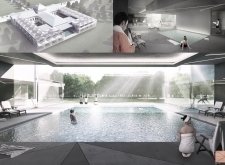 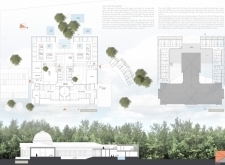 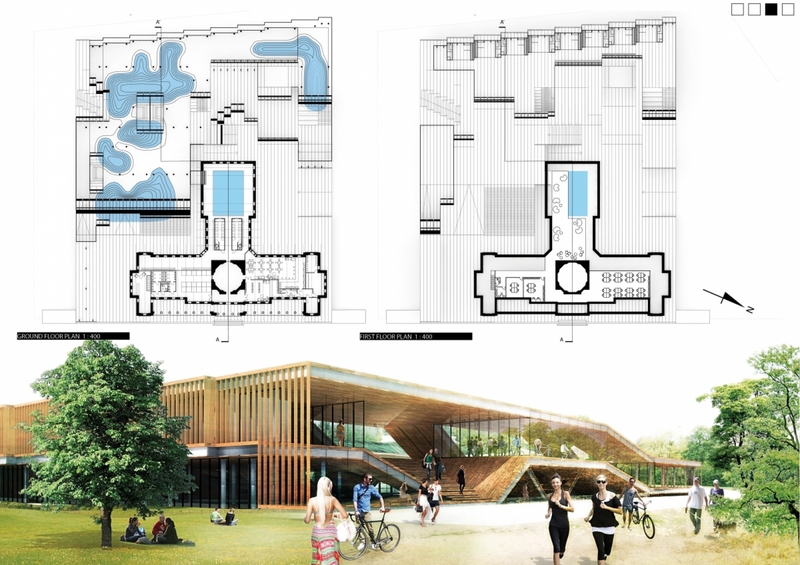 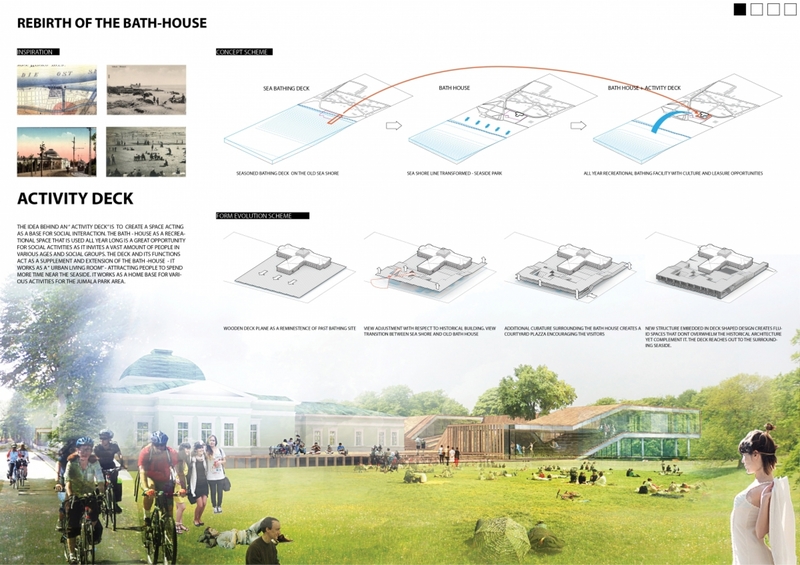 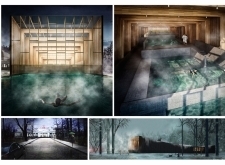 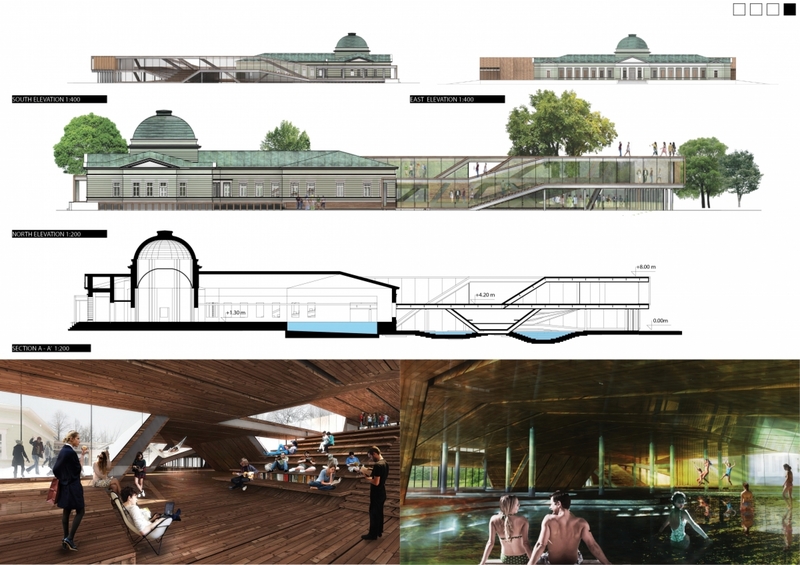 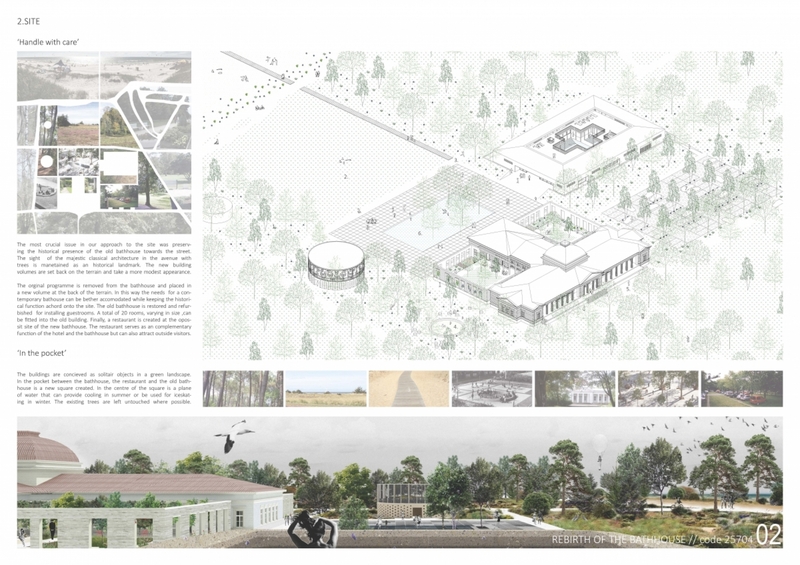 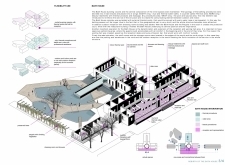 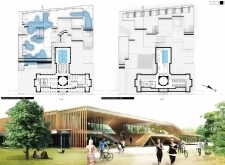 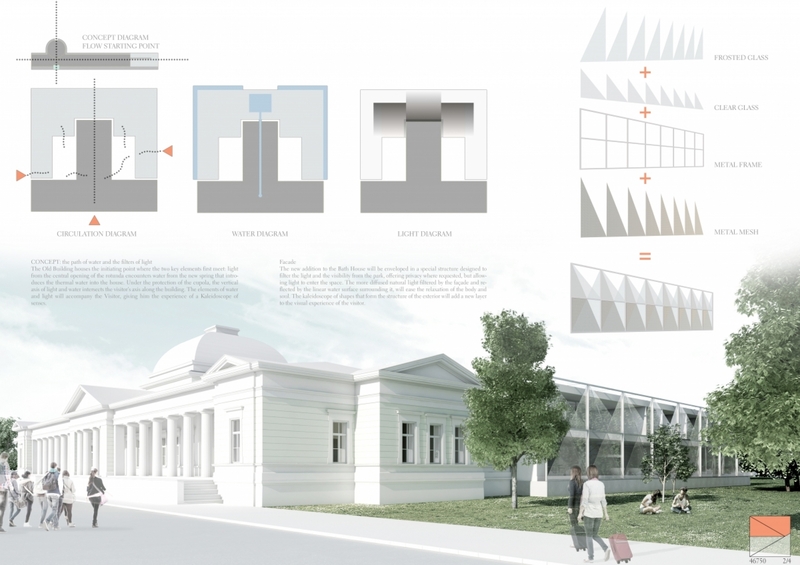 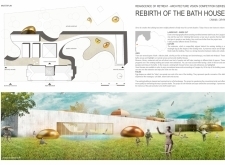 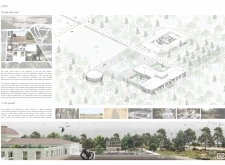 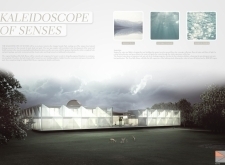 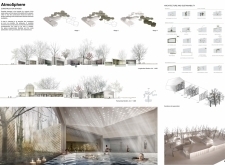 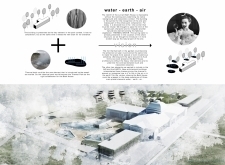 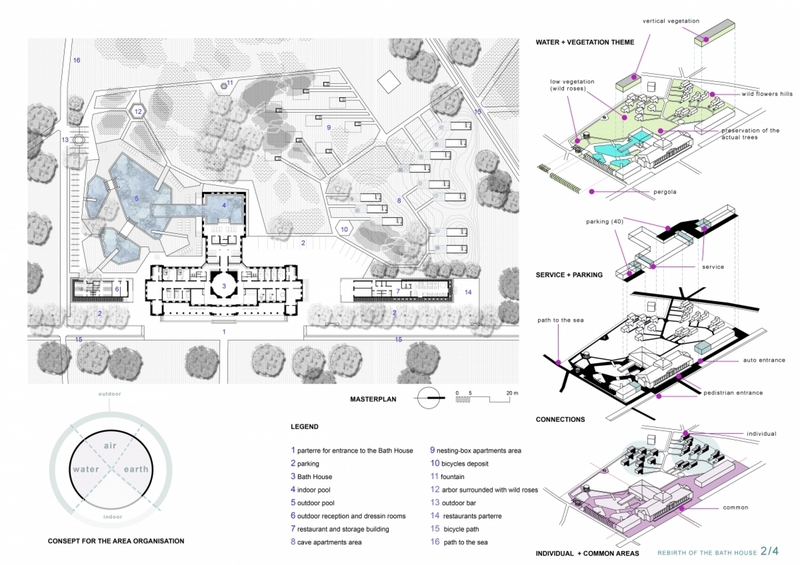 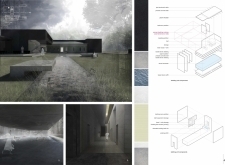 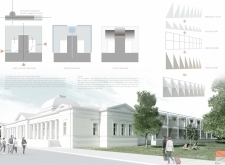 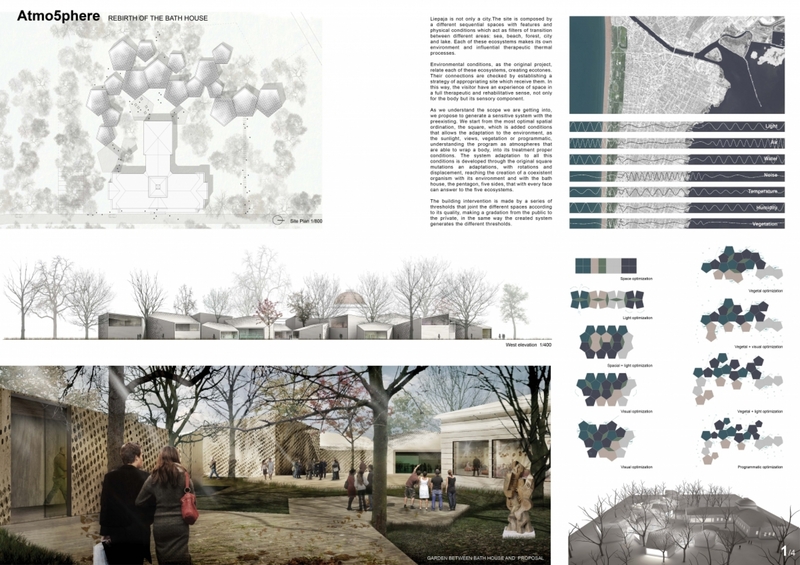 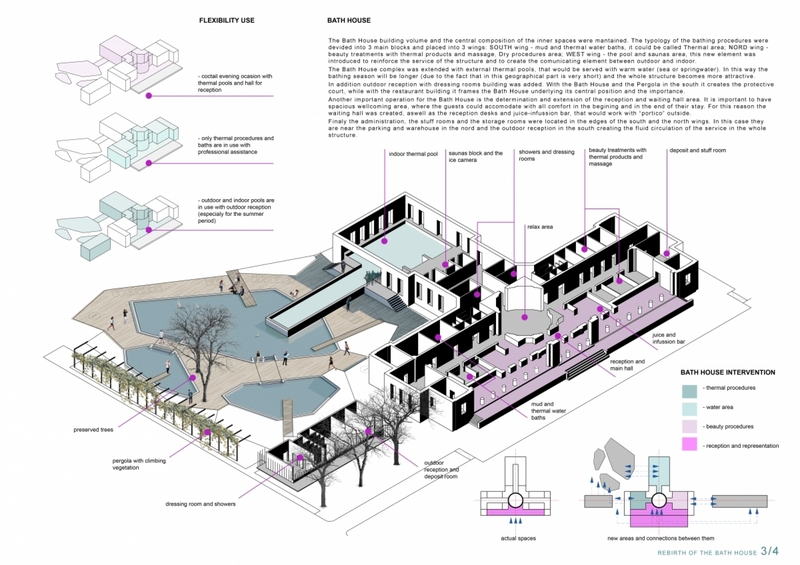 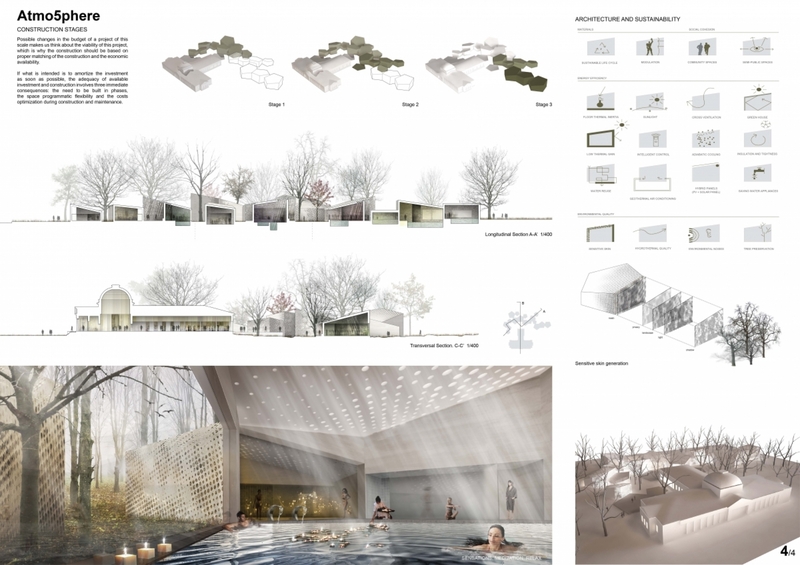 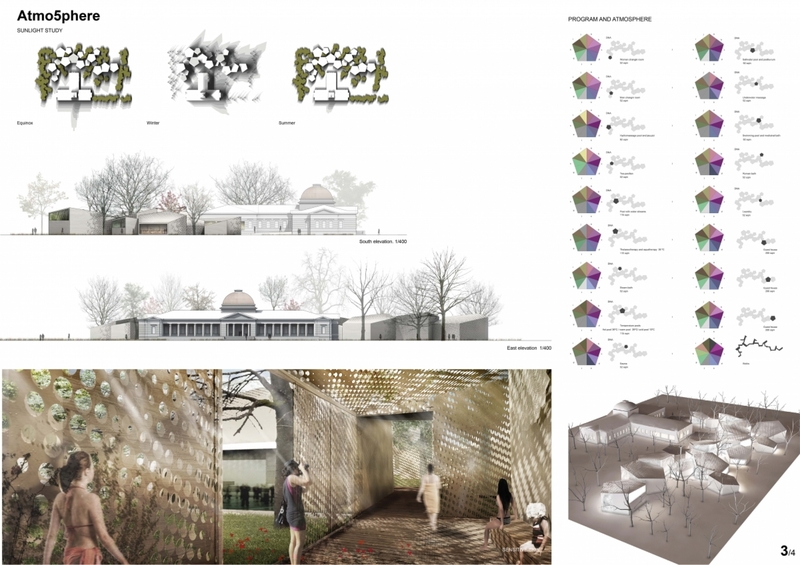 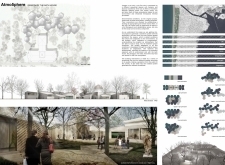 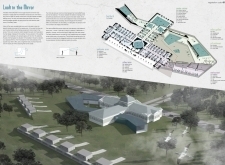 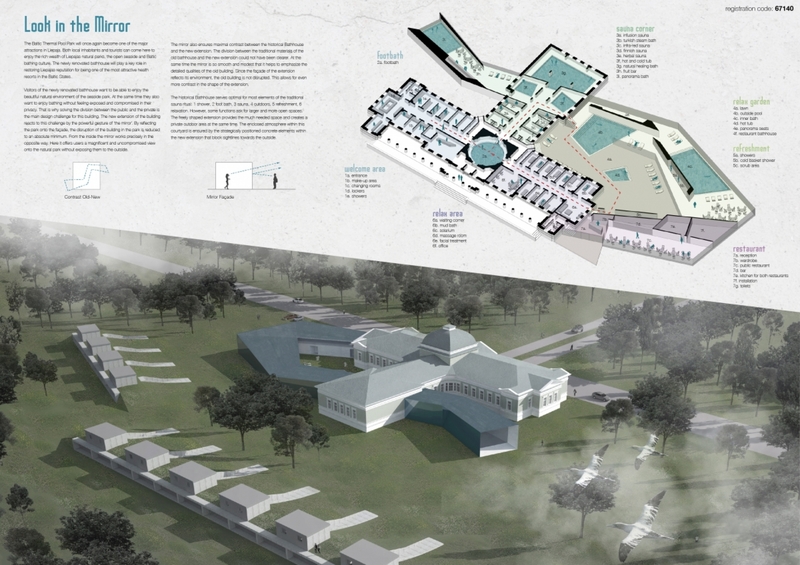 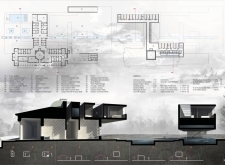 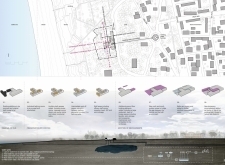 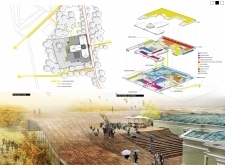 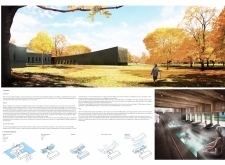 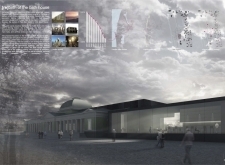 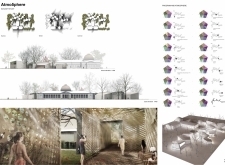 Get to know better: Rebirth of the Bath House architecture competition 2nd prize winners - Satellit Arkitekter! 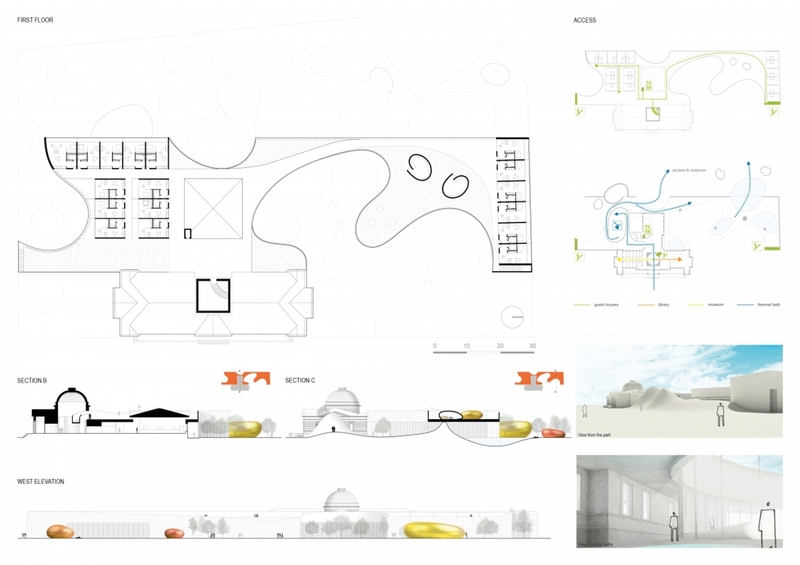 The proposal suggests the creation of a two-building complex, with the addition of a new structure 90m in length. 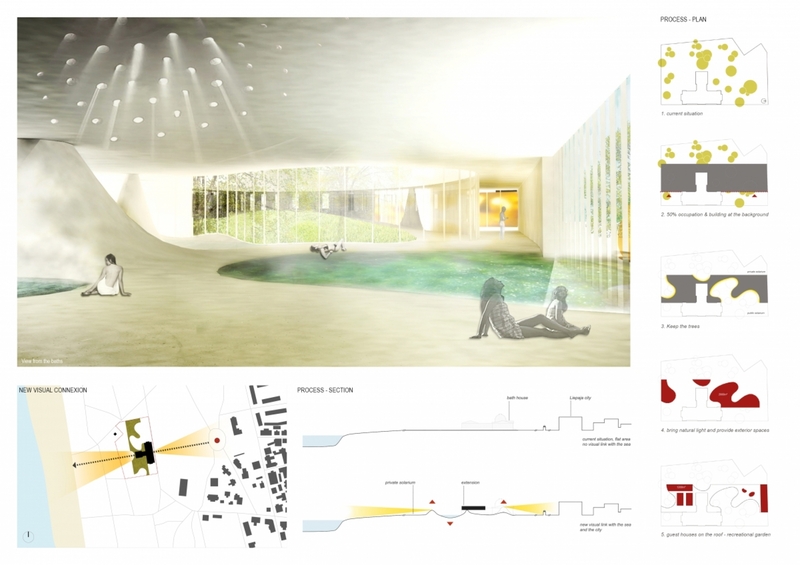 The linearly-arranged element combines open and enclosed spaces, and light and shade for a sensory experience that is both engaging and highly restorative. 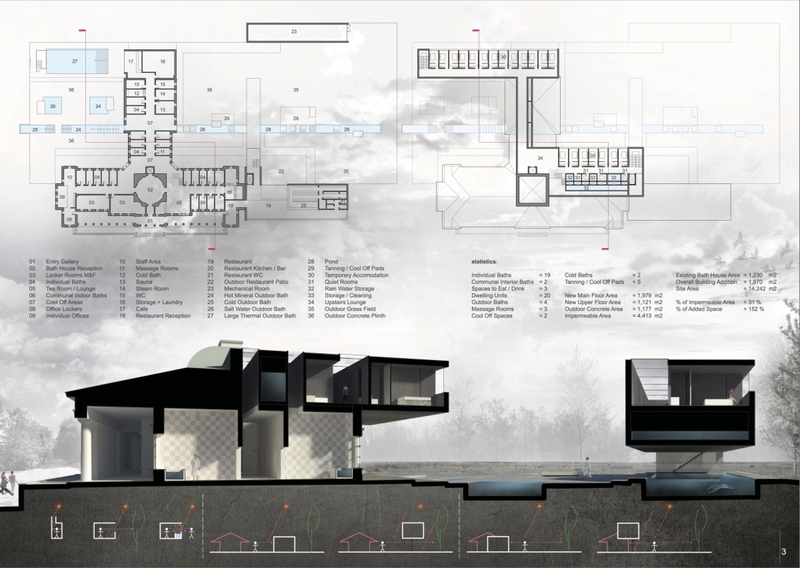 The new volume respects the landscape, and its proportions and site placement harmonise with the existing building. 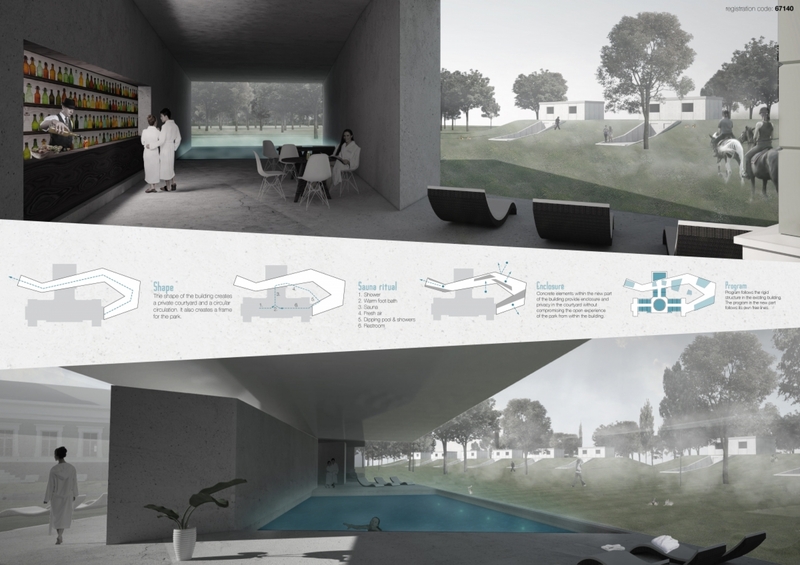 Furthermore, its sectionally-compressed form establishes intimate spaces towards the centre while expanding on each end to incorporate large windows which blend the landscape with interior spaces; this unification of indoors with outdoors is further enhanced by a bath at one end which extends into the site. 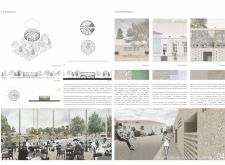 The jury appreciates this project’s well-organised plan, its respect towards architectural heritage, its choice of materials and its overall ability to be realised as an exciting new health-therapy destination. 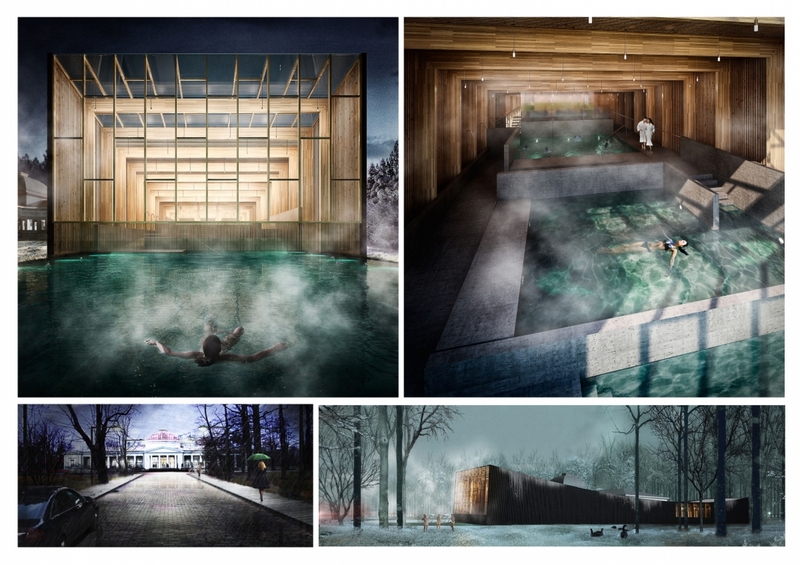 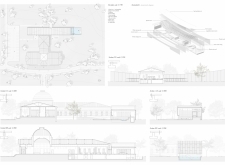 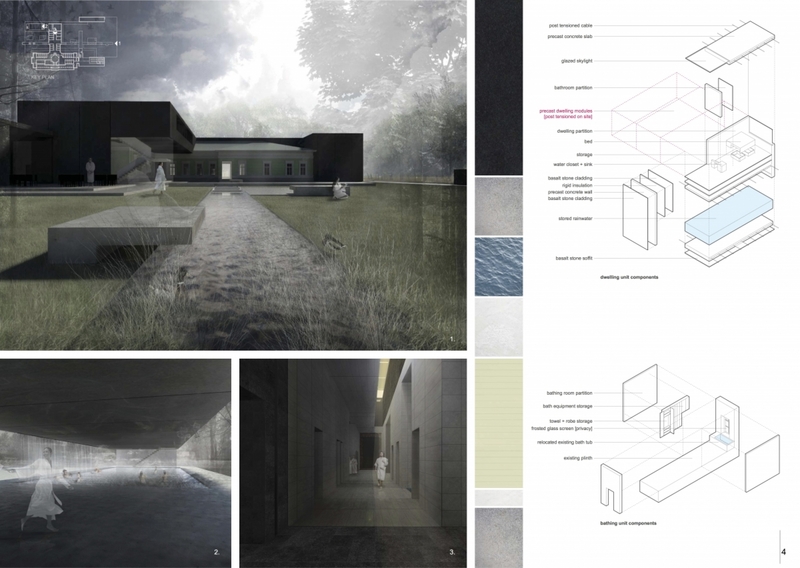 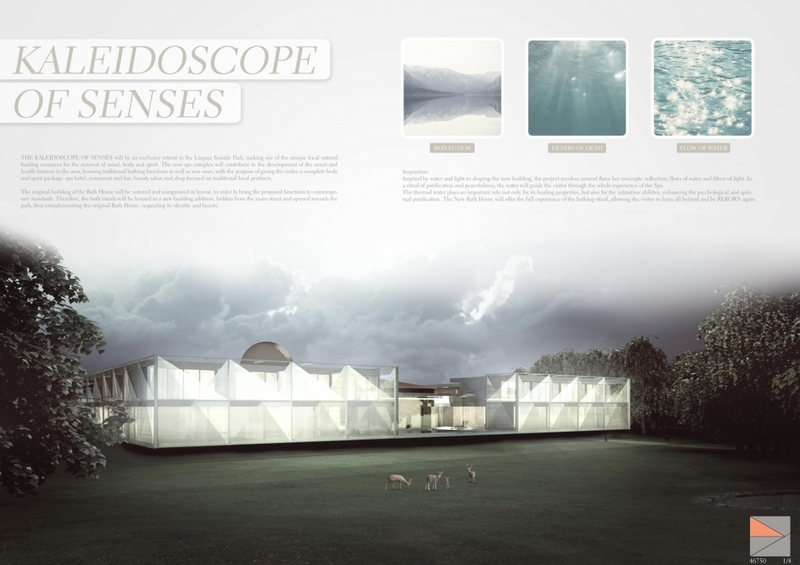 The expansion of the Bath House in this proposal fuses architecture with landscape to create an experiential new project focused on three aspects of water: reflection, flow and the filtering of light. 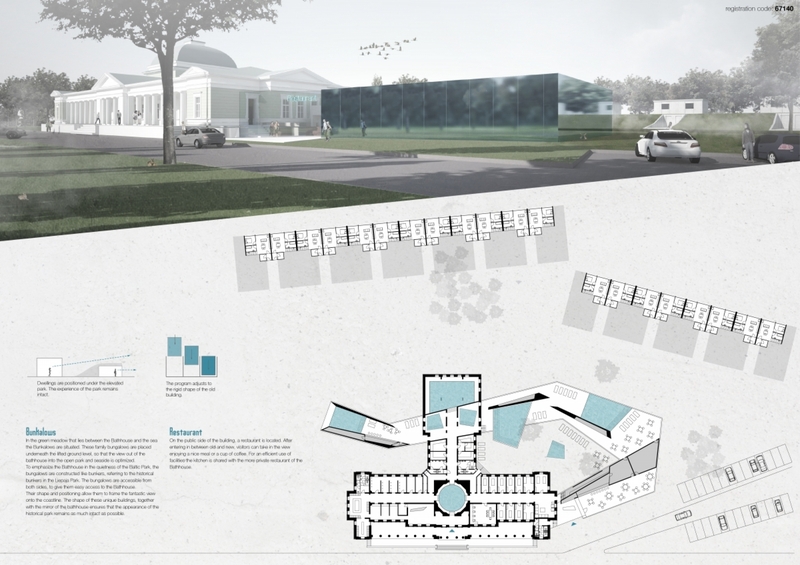 A combination of frosted and clear glass and white-painted metal meshing engage the existing structure and site. 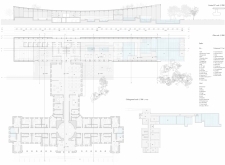 The new, symmetrical structure incorporates internal courtyards and its arrangement establishes a path of travel that traverses from the historic Bath House through the new extension: as visitors move through the proposed project, they would experience a flow between light and water, with views from inside to outside. 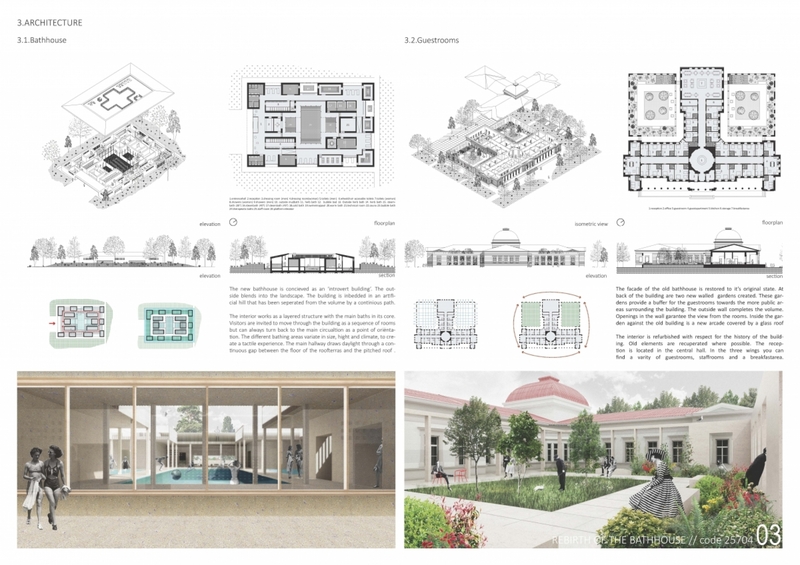 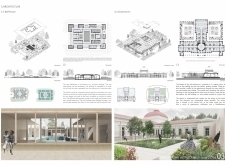 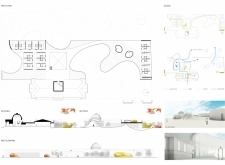 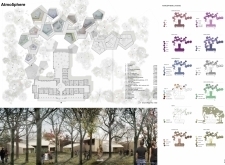 The jury was especially impressed by the integration of spa and hotel functions in plan according to a strong grid which relates to the symmetric and axial construction principles of the existing building. 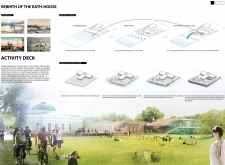 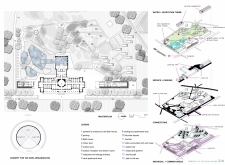 The most striking aspect of this project is the use of outdoor baths to connect the Bath House complex with its site. 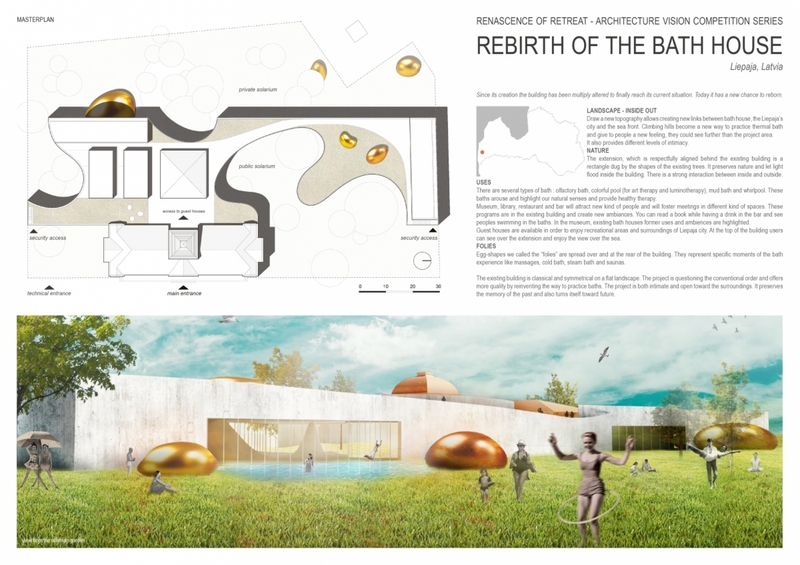 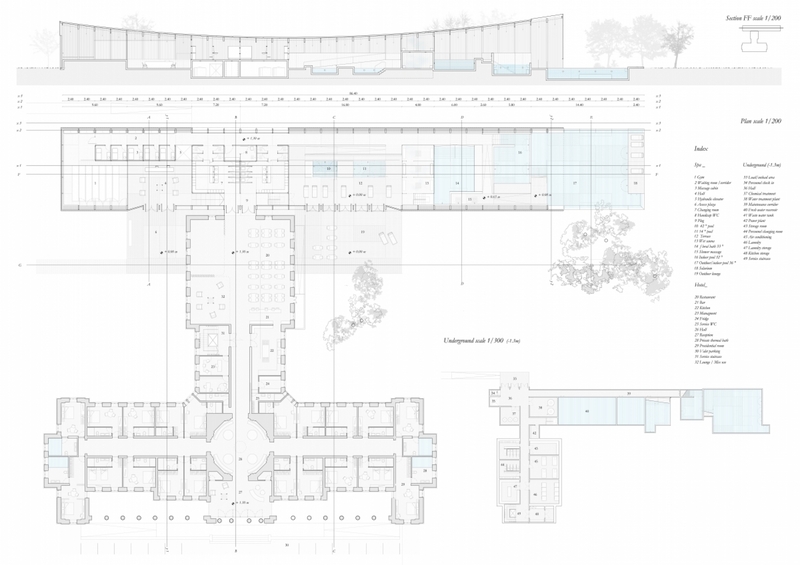 In one instance, a stretch of linear saltwater baths establish a strong axis through the site that complements the axes of the existing building. In another, a pool flows under a newly-constructed volume as if wrapping the site around the building. 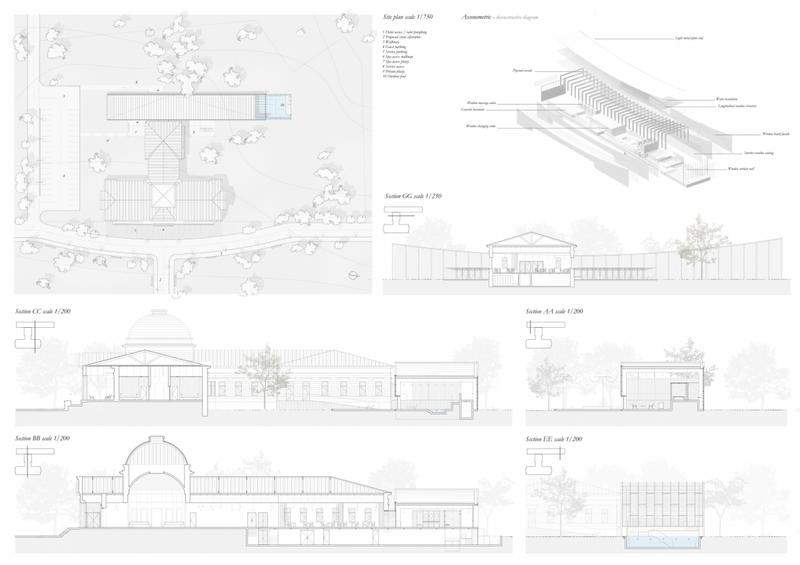 As with the other two winning proposals, the proportions of the new building follow from, rather than overtake, the existing Bath House. 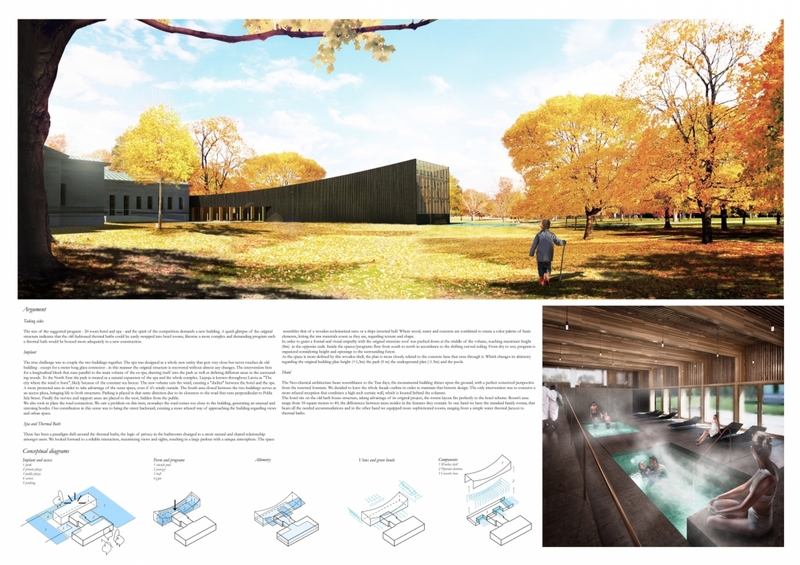 Here, the additional structure gently wraps portions of the Bath House to visually and functionally combine the two buildings into one. 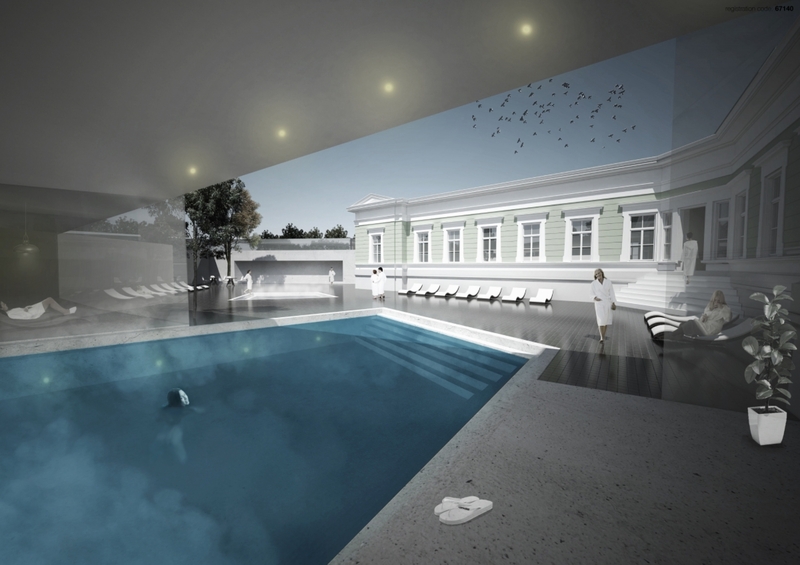 The final result is a modern, formally-simple addition which celebrates and preserves the historic Bath House of 1902.